So, let's take another look at some interesting stories that we posted over the past few days. We have news about phones, some more about phones, a game review, and a few more phone-related news. What shall we begin with? 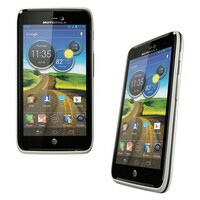 To start, the Motorola ATRIX HD for AT&T got officially announced. In fact, those who want one should be able to get one starting today. T-Mobile, in the mean time, is adding new myTouch phones to its lineup, all of them made by Chinese manufacturer Huawei. That game review we just mentioned, it was Amazing Alex that we took for a spin. It is Rovio's fresh, new title, and amazingly, it isn't about tossing aves at green pigs. Interested? Then check it out! Jul 10, 2012, 9:11 AM, by Nick T.
Jul 11, 2012, 12:16 AM, by Alan F.
Jul 12, 2012, 3:17 AM, by Victor H.
Jul 12, 2012, 6:31 AM, by Daniel P.
Jul 12, 2012, 11:29 AM, by Scott H.
Jul 12, 2012, 10:37 PM, by Scott H.
Jul 13, 2012, 5:12 AM, by Daniel P.
Jul 13, 2012, 6:36 AM, by Daniel P.
1st i also thought that.. then i googled for "$350 galaxy s3" .i found many websites were selling it for the same price. some websits say that they are whole sale suppliers and buy their goods directly from china. i still wasnt convinced so i went towww.scamadviser.com , it gave one of the websites a "high safey" rating (88%) . the name of the website iswww.maandac.miiduu.com . this website is signed by "McAFee Secure" and "Veri sign" , it also offers 100% cash back or replacement guarentee if the product is defective. I am pretty tempted to give the website a try. I am sure if this was a fraud then we would have heard about it.. either from phone arena or from some other website.. i also did a google search but couldnt find any thing.